Adapter: Used to allow a specific style of atomizer or cartomizer to fit onto a different style of battery. Analog or Analogue: Slang term for a traditional cigarette. When we speak of Amps in dealing with cigarettes we are simultaneously referring to the flow of electricity itself as well as how much of said flow each device can safely handle. Since if there is no current there is no vaping the flow of electrons is really not what we’re after here though so we’re focusing on the ability of a device to handle heavier loads of current. 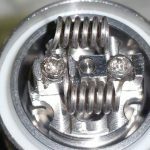 When you vape you are balancing an equation known as Ohm’s Law. Ohms law is I = V/R or Current (amperage) = Voltage/Resistance. So when you go to vape, let’s take a standard non VV ego as a popular example: X = 3.6v/2.0ohm. Solving this equation for X (the Current/Amps) = 1.8 amps are being drawn. This discussion on amperage most likely won’t apply to you if you are using a regular PV, but when you get into dual coils the amperage can very much affect the ability of the device. Atomizer (Abbreviated as Atty): An atomizer is the heating element in an electronic cigarette. It’s used to change liquids into vapor. It has tiny filaments similar to the filament in a light bulb. When activated the filament heats up and any liquid in the chamber is changed into vapor. This vapor can then be inhaled and exhaled like the smoke in a traditional cigarette. Automatic: A style of electronic cigarette battery that does not have a button to activate the heating element. Rather, when the user draws on the device a switch is activated and the atomizer is activated. This style of e-cig is most like smoking a traditional cigarette. Battery (Abbreviated as Batt): The battery piece of an electronic cigarette is the part that provides power to the heating element. This allows the heating element to heat the E-Liquid and produce vapor. Bridge: A small U-shaped covering inside of a traditional atomizer. This is used to absorb liquid and help wick it towards the heating element. Cartridge (Abbreviated as Cart): A plastic tube-like piece that is usually stuffed with some sort of absorbent filler material that holds the juice. Cartomizer (Abbreviated as Carto): A cartridge and atomizer in a single unit. These generally are disposable or rebuildable, inexpensive and hold more juice than a regular cartridge/atomizer combination. Disposable vs. Rebuildable Clearomizers: Clearomizers are available in disposable styles and rebuildable styles. Disposable styles, such as the CE4, are thrown away when they no longer perform well (usually 1-3 weeks, depending on usage). Some people prefer disposable styles because they don’t want to change the parts out. They may find them more convenient. Deep Lung: A slang term used to describe a specific style of vaping. With “deep lung” the vaper takes one long, deep, draw and inhales directly into the lungs without holding the vapor in the mouth. Drip Tip: An accessory that can be used in conjunction with an atomizer or cartomizer. These have a larger opening than the original equipment and allows a user to drip Juice directly onto the atomizer. Some people use a drip tip on their Cartomizers simply for looks and/or comfort. Dripping: A method of adding juice to the atomizer. A user will drip a few drops directly onto the bridge before vaping. Many users feel this method produces the best vapor production and taste since there is no filler material involved in the process. Dry Vaping: The process of vaping without a cartridge (see “dry vaping”). 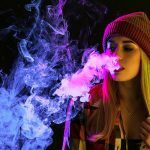 Dry Vaping: Commonly known as “dripping”, this is the act of vaping without a cartridge; generally practiced when the atomizer is saturated with e-liquid. 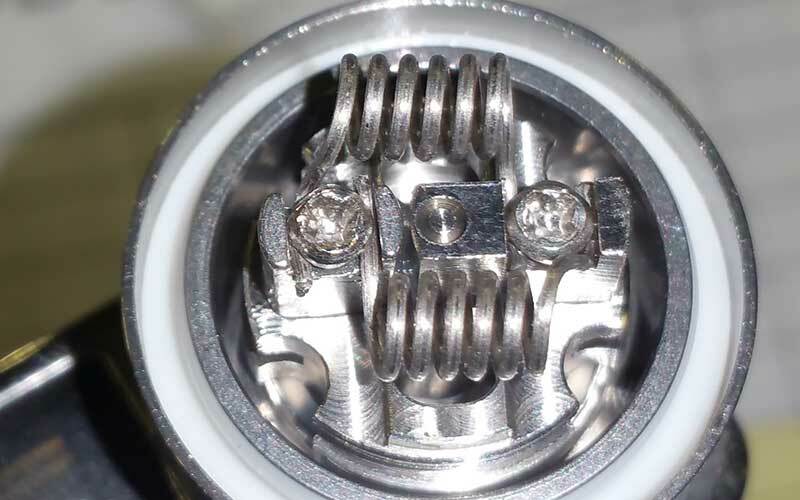 Dual-Coil Cartomizers (DCT): A newer type of cartomizer that employs two coils. These babies vape strong, come in several sizes and may hold anywhere from 1.5ml to 3.5ml of juice. Generally recommended for 6v vaping. E-Cig: Abbreviation for Electronic Cigarette. E-Liquid: Also referred to as E-Juice, Juice, or Smoke Juice. This is the liquid that is vaporized when using an electronic cigarette. Electronic Cigarette (Abbreviated as E-Cig): A device that heats up a liquid solution consisting of nicotine, propylene glycol and/or vegetable glycol, and flavorings to a point where it actually turns into a vapor which can be inhaled. Filler Material (Abbreviated as Filler) Material placed inside of a Cartridge that is absorbent. It is used to help keep the juice inside of the cartridge and deliver it to the atomizer at an optimal pace (so as to not flood the device). Most cartridges use PolyFill as the Filler Material, but there are many modifications available that may help enhance your e-cig experience. Flooding: Something that can occur when too much Juice is applied to the atomizer or when you fill your cartomizer too fast. Since atomizers require some air to properly vaporize the liquid, adding too much juice to an atomizer will cause a decrease in vapor production and flavor. High Resistance (HR): An atomizer or cartomizer with a higher Ohm rating than the standard equipment. This allows you to apply a higher voltage to the coil but may produce a harder draw. Leaking: This can happen when too much juice is added to an atomizer or cartomizer. Juice can leak out of the bottom of the heating element and onto the battery, which in some cases can cause damage to the device. Light Emitting Diode (abbreviated as LED): A diode that converts applied voltage to light. These are commonly used in electronic cigarette devices to indicate that the device is actively being used. Low Resistance (abbreviated as LR): An atomizer or cartomizer with a lower Ohm rating than the standard equipment. This generally causes the heating element to get hotter faster and produces vapor more quickly. In many cases, it produces more vapor than an atomizer or cartomizer that has a standard resistance rating. Low resistance typically produced an easier draw. Manual: A style of electronic cigarette battery that has a button (usually on the top or side of the battery) that activates the heating element. When the user wishes to use the device, the button must first be depressed in order to produce vapor from the atomizer. This style of e-cig is less like a traditional cigarette than the Automatic but is preferred by many due to the fact that it is sealed and cannot be adversely affected by leaking. Memory Effect: A process by which NiCad batteries begin performing in properly due to misreported energy levels; the memory effect causes the device to believe that batteries are dead when they are really not. You can reduce the likelihood of the memory effect by regularly discharging fully, and then overcharging batteries. Milligram (Abbreviated as mg): The amount of nicotine found in a juice. Typical levels include 0mg, 3mg, 6mg, 8mg, 12mg, 16mg, 18mg, 24mg, 30mg, 36mg and 48mg. Those who use juice with a higher nicotine content than that are generally people who were heavy smokers or have been vaping for quite some time. Milliliter (Abbreviated as mL): The amount of juice in a given container. Mini: One of many styles of electronic cigarettes available. These generally are about the same size as a traditional cigarette and have the shortest battery life of any style. Mod: – Dual usage – Can be used to describe modifications to a device or accessory (such as getting more vapor production out of your cartridges) or a design variation of a commonly manufactured electronic cigarette. In the latter context, mods typically use larger rechargeable lithium-ion batteries and allow the user longer battery life and increased vapor production but at the cost of the device that looks like a traditional cigarette. Many mods will also allow the user to increase or decrease the voltage of their device to achieve optimal performance. oHm: A measure of electrical resistance. A lower number indicates lower resistance and therefore faster heating. Pass Through: A device that plugs directly into the USB port of a computer or charger and allows the user to vape without having to worry about battery life. PCC: Abbreviation for Personal Charging Case. Pen Style: One of many styles of electronic cigarettes available. Slightly resembles a ballpoint pen in appearance. Personal Charging Case (PCC): A portable charger that can be taken with a user on the go to charge electronic cigarette batteries when away from a power outlet. Particularly useful when using an e-cig that has less than a 2-hour battery life per charge. Personal Vaporizer (abbreviated as PV): Another name for an Electronic Cigarette. PG: Abbreviation for Propylene Glycol. Propylene Glycol (abbreviated as PG): An ingredient found in many brands of E-Juice. 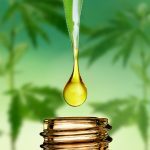 Some users have reported an allergic reaction to it and must, therefore, use 100% VG Juice instead. This is one of the ingredients used that when heated will produce vapor that can be inhaled. Typically, PG produces less vapor than it’s VG counterpart but provides more flavor and throat hit. This substance has been used as a primary ingredient in medical inhalers for years. Puffer: A slang term used to denote a specific type of e-smoker; the “Puffer” draws vapor into his mouth, removes the atomizer, then inhales into the lungs with a mixture of fresh air. It is the most common form of vaping. Resistance (aka Conductivity): This basically comes down to the conductivity of your atomizers coil. Conductivity is how easily current passes through the wire from point A to point B. An easier way to look at it is to see this as friction. Everything you do in this world is related to friction. When you walk on the ground it is friction that allows you to gain purchase to push yourself forward. When you fire an arrow through the air, the air creates friction and slows your arrow down. If you shoot an arrow into the water, it will slow it down much more. This example of air vs. water is a perfect example of low and high resistance. Resistance in electricity works in a similar way. The more resistance there is the less power that will be allowed through the circuit in the form of wattage (as far as we are concerned here) which is what we are looking for. Typically speaking, high resistance then is better for high voltage applications, and vice versa. Putting a low resistance on a high voltage device will create a lot of heat and is in the realm of reckless throat hit chasing. When it comes to vaping, this is a factor over which you will have the least control since it is set by your atomizer and there’s no such thing as variable resistance at this time. These resistances are often set to common numbers and or fractions of an Ohm. So since this factor is concrete to each atomizer and we are forced to change to different resistance atomizers in order to change this variable. It is this number that we are basically forced to base our other variables around. If you have a 3.0ohm atomizer then you’ll want to change your voltage to 3.7-5.0v (Though in reality most will be closer to 4.5v). This will give you a wattage range between 4.5w-8.3w. Right on target! Smokeless Cigarette: A term used to refer to an electronic cigarette. This term is used commonly due to the fact that no actual smoke is inhaled or exhaled while using. Starter Kit: A kit that includes basic e-cigarette equipment. Typically includes everything needed to begin vaping. Most starter kits come with one clearomizer, one battery, a charger and a bottle of juice. Throat Hit (Abbreviated as TH): The tingling feeling one feels in the back of the throat when vaporizing juice that contains nicotine. 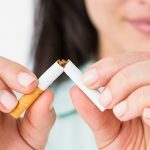 Typically, since nicotine is a large contributing factor in throat hit when a juice that contains zero nicotine is vaporized, there is no throat hit. 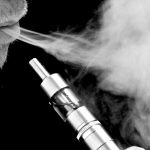 Vape: The action of “smoking” an electronic cigarette. Since e-cigs actually produce vapor (rather than smoke) people refer to this as “Vaping”. Vegetable Glycerol or Vegetable Glycerin (abbreviated as VG): An ingredient found in many brands of E-Juice. This is one of the ingredients used that when heated will produce vapor that can be inhaled. Typically, VG produces more vapor than its PG counterpart but provides less flavor and Throat Hit. Some users who are allergic to Propylene Glycol must use 100% VG Juices. VG: Abbreviation for Vegetable Glycerol or Vegetable Glycerin. Voltage (aka Potential): Put simply, this is the potential energy. A device’s voltage is its ability to create potential energy for use. The harder it is pulled back, the more kinetic energy will be released when you let go of the string. See non-variable voltage devices like a crossbow, since you can’t vary the amount of potential energy (i.e. the crossbow always locks in at the same potential energy every time). This is one more variable you can’t control if you have a non-variable voltage device and it will extremely limit your control over your vape. If you think of it like this the idea is to shoot the arrow; the bowstring is just a means to an end. The reason why voltage ended up being the main word to define the strength of a device is because variable wattage implies an advanced capability that most PVs do not have in the slightest (since APVs with variable wattage need complex circuits to calculate the Ohm’s law to set the voltage to the wattage you desire). So we look at voltage as the vehicle to deliver our vape, but it’s really wattage we are after (it’s not how you get there, it’s where you get). Every time you dial up the voltage on something, the harder you are pulling back the bowstring and the harder the arrow will hit in the end. The arrow is where the business end of your vapor happens. We will call that wattage. Vape Safe (2 Cents/Fuse): The Vape Safe Fuse is a tiny disc-shaped fuse for use with e-cigarette mods/PV’s. The fuse is an added layer of safety in addition to a good quality battery. While using The Fuse, if your battery were to send too many amps, The Fuse would simply do its job and prevent the electrical circuit from completing, and thus preventing your faulty battery or connection to cause further damage to the battery, mod and/or yourself. Wattage (aka Power): Kinetic energy, this is how fast the arrow flies and how hard it hits. This translates to power, and thus heat when it comes to vaping. The average vaper prefers a wattage range of 4 – 8 watts, though 10-12+ is reckless throat hit range (and can be damaging to your atomizer and reduce its life). Less than 4 watts really just doesn’t work. It’s kind of like if you don’t pull the bowstring back enough and the arrow just flops to the ground right in front of you. Wick: A narrow piece of poly string that is inside of many styles of atomizers that allows easier delivery of Juice to the heating element.